Social Studies instruction is guided by the state standards, TEKS Resource System and District Curriculum Documents. 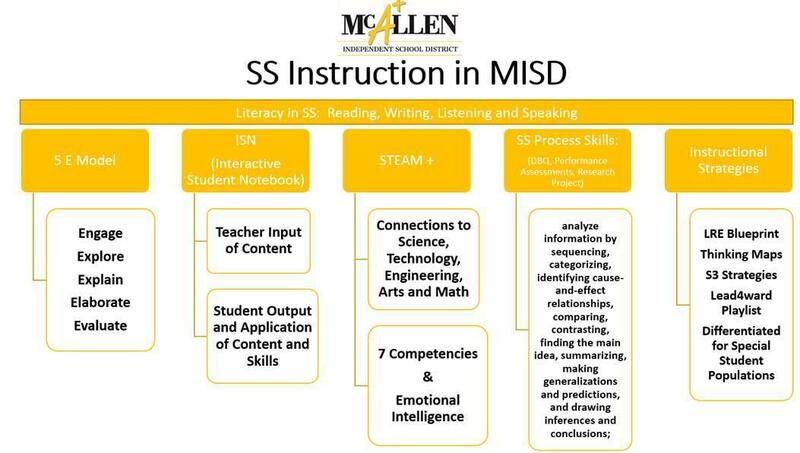 Classroom instruction is delivered by the 5 E Model, the use of Interactive Student Notebooks (ISN), Literacy Strategies and an infusion of STEAM + / IB. Relevant and rigorous instruction allows students to act as Geographers and Historians. Social Studies instruction creates a learning environment that fosters student-centered learning and develops future ready students that are equipped with knowledge and skills that transcend beyond the classroom.